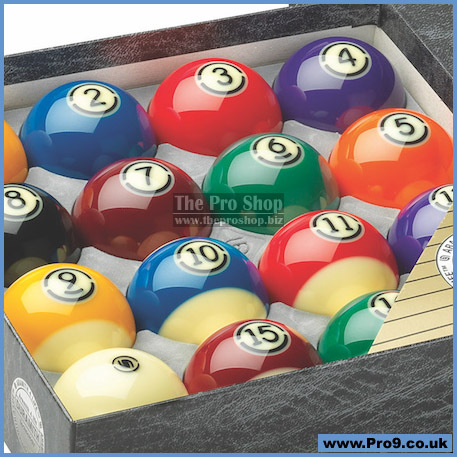 The Aramith Tournament set features the Duramith™ technology with its hi-tech engineered molecular structure enhancing drastically the longevity of the balls while minimizing significantly table cloth wear. With a life-time that exceeds up to 8 times that of the average polyester and phenol-like resins, reaching easily up to 40 years in residential use, Aramith ball sets are the logical choice for both the trade and the player. With its new Duramith™ formulation, the 4th generation Aramith 4 life products cross new boundaries, guaranteeing the lowest cost of ownership. • their friction resistance minimizes burn spots as well. 1. 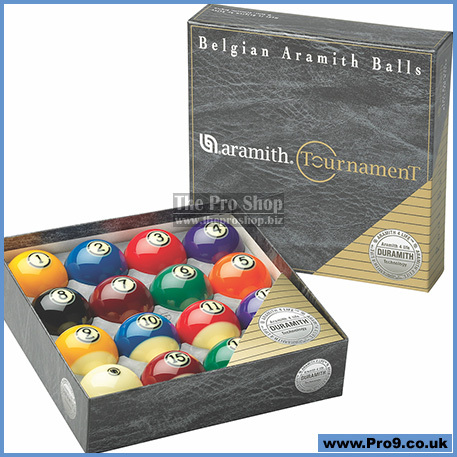 Super Aramith Tournament: top of the line professional grade made of Duramith™ resin. 2. Super Aramith PRO: professional grade. 3. 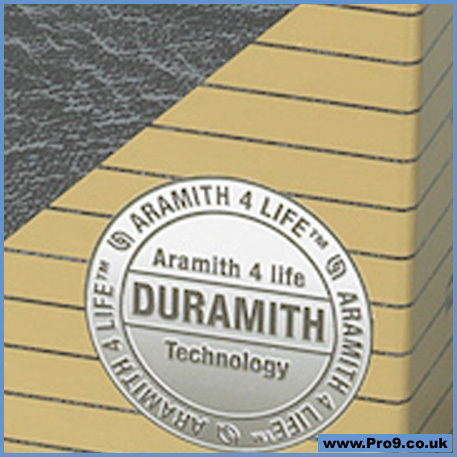 Aramith PREMIUM: all-round set with increased longevity. 4. Aramith Premier: all-round set. The two half circles are a registered trademark of Saluc SA. Due to size and weight free shipping is only available in the UK. 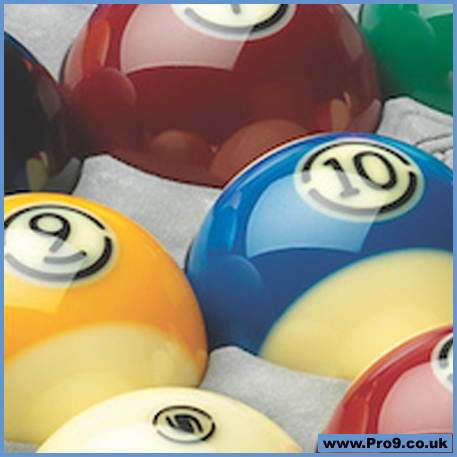 TV Balls have spotted cueball with pink 4 and 12 balls, and brown 7 and 15.